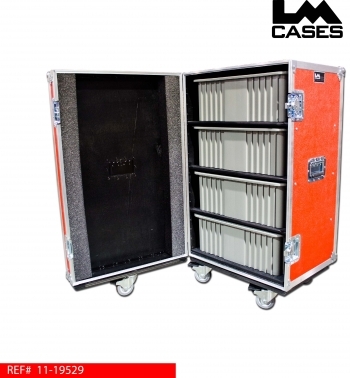 This case was designed for Stony Brook University. The case holds 4 removable plastic bins in separate compartments. This design benefits the user because the bins can be removed from the case and taken to independent work sites. They can also be pulled out like standard drawers for quick access. The exterior case is built out of 3/8" plywood laminated with red abs plastic. 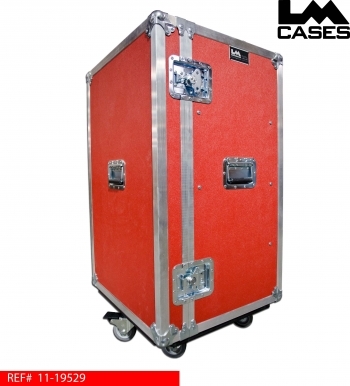 The case features recessed hardware and 3.5" casters. Special thanks to Stony Brook University!